BRYAN EATON/Staff photo. 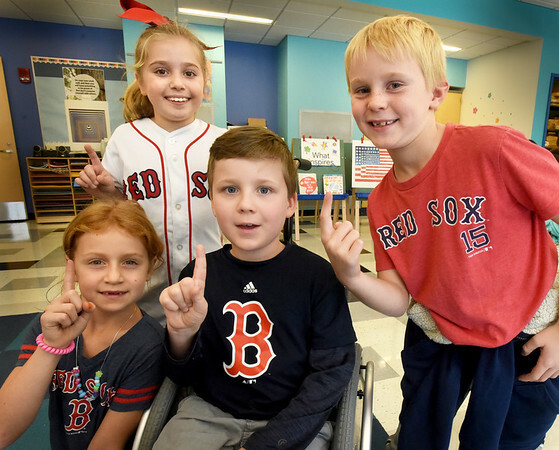 These Bresnahan School second-graders wore Red Sox garb to school to celebrate the Red Sox win, having to hear the good news from their parents Monday morning as Sunday was a school night. From left, Lia Garbarino, 7, Lexie Lacava, 8, whose favorite player is Mookie Betts, Braeden Farrell, 7, and Will Baker, 7.